$25 Gift Card For Only $10! You are here: Home / Great Deals / Christmas Deals / $25 Gift Card For Only $10! New Raise users! 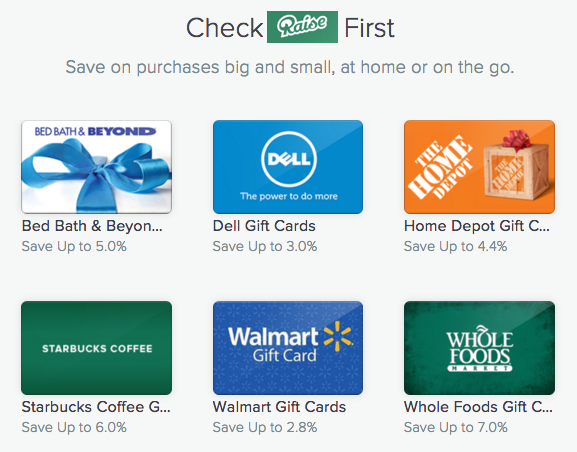 You can Order any $25 Gift Card For Only $10 on Raise. You can do this on any gift card, but I did mine on a Regal Cinema gift card. You can do this for any store: Sephora, Target, Victoria’s Secret, AMC, Walmart, Home Depot, Whole Foods, etc. For example, right now they have $25 Regal Cinema Gift Cards on Raise. You will get $5 Off with my referral. And use promo code BUS10 at checkout to save an additional $10! So that’s $15 Off $25! Meaning you will save over half-off a Regal Cinema Gift Card! Don’t forget you can egift a card, so you can pick up a nice present for a song! Click here to sign up and create a new account (If you are on mobile, it’ll open up the app store for you to download the app). Enter the code to verify your number. Once you verify, the $5 will be credited to your account! The FREE $5 credit will come off automatically during checkout.